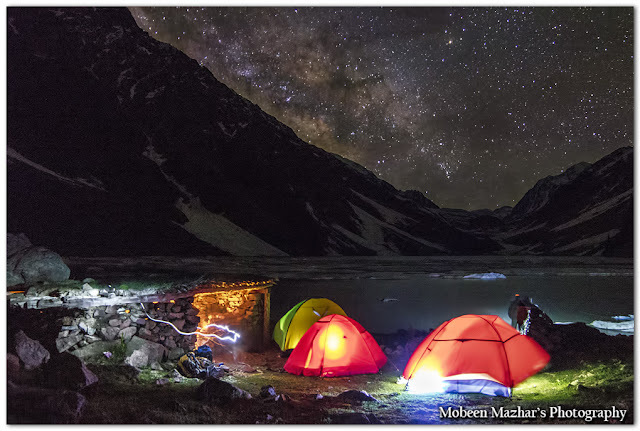 The pastoral valley of Swat has abundance of precious resorts of nature where one can find solace and respite from the never-ending struggle of life. Kundal or Kandolo Lake is one such place here upon which the Maestro of nature has spent extra time and effort to paint. Kundal Lake is situated in the north of Utror valley. 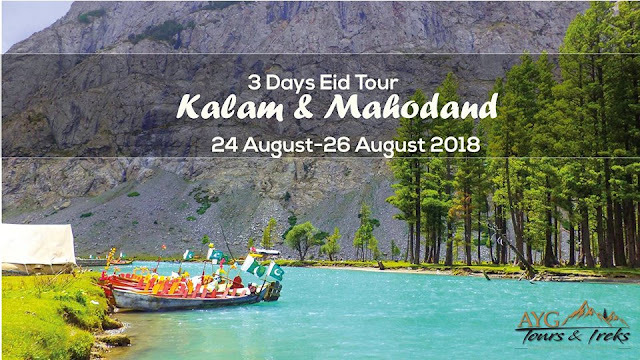 One can easily access it from Kalam via Utror from where a link road ends in a green valley called Ladu in the foothills of the lake. You can either hike to Ladu from Utror or take a four-wheeler to ease and minimize your journey. It consumes almost two hours to reach the beautiful valley of Ladu. For the adventurous kind, a walk in the romantic valley will unravel several new mysteries. The people who take temporary residency over here during summer plow the open land and harvest potatoes and turnips, which are famous all over the country for its exotic taste. There is also a small hut in Ladu where you can take tea and get something for eating. From Ladu it takes almost four hours to reach the lake. Some locals can guide you and even take your luggage if properly paid. The mountains around this small valley are covered with tall cedar and pine trees and meandered by different streams and torrents. 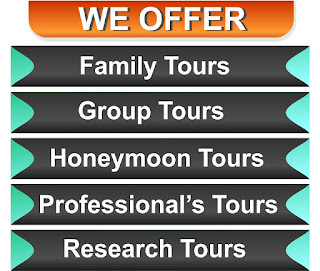 The people are friendly and provide you guidance if required. The trail to the lake from Ladu is easy to follow as a huge stream flows down from the lake, which mingles with River Swat in Kalam valley. It goes beside the stream and leads you to the lake. The trail is a joy to walk on but proper care should be taken because one accidental slip can prove fatal. Therefore wearing good qualities shoes with gripping soles must be arranged in advance. 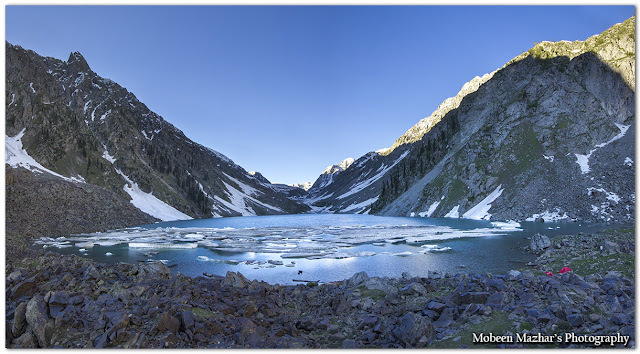 The first two hours walk is in a narrow valley beside the roaring stream but later the narrowness gives way to wideness and the valley starts expanding till you reach the lake. The mountains around the lake have scarce trees scattered far and wide but grass and thick vegetation pervade the surrounding landscape that reinforces the beauty of the lake. 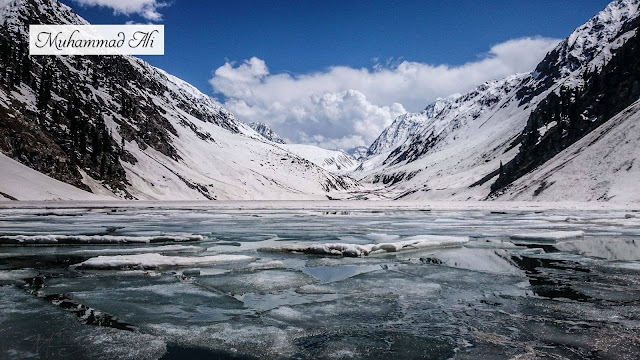 Two other lakes, Khapiro (Faries), and Spin khwar (White Stream) are located in the peripheries of Kundal Lake and can be accessed through the lake in five to six hours. To visit all the three lakes in one go consumes almost four days and nights but will certainly be exasperating and exhausting.Kundal is a huge and sprawling lake. 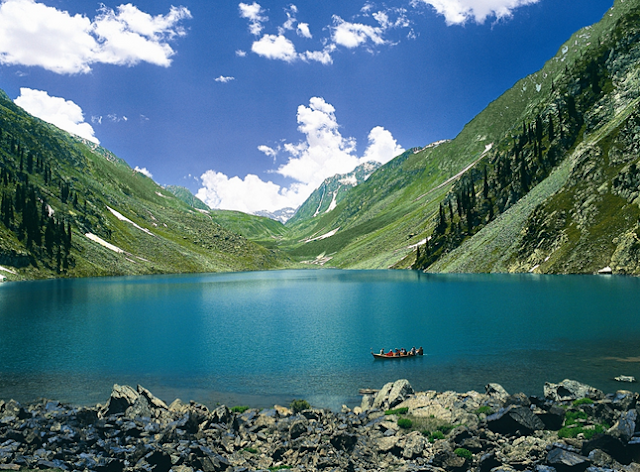 According to the local's estimate, the length of the lake is two kilometers and its width is one kilometer. A huge stream feeds it in eastern side where huge glaciers melt down in summer. There are two hamlets where two small mosques can provide you accommodation but its better to have your own tents in case of emergency use. The nomads with their livestock constantly roam the peripheries of the lake and flock back their sheep in the evening around the hamlets. They are very cooperative and will provide the typical nomadic delicacies of butter, buttermilk, cheese and maize bread upon request happily. Some of them have also opened a kind of hut restaurants where tea is served upon payment. They have also arranged diesel-operated motorboats in which you can take a tour of the lake and reach the other side easily because to the other end may take two hours minimum. 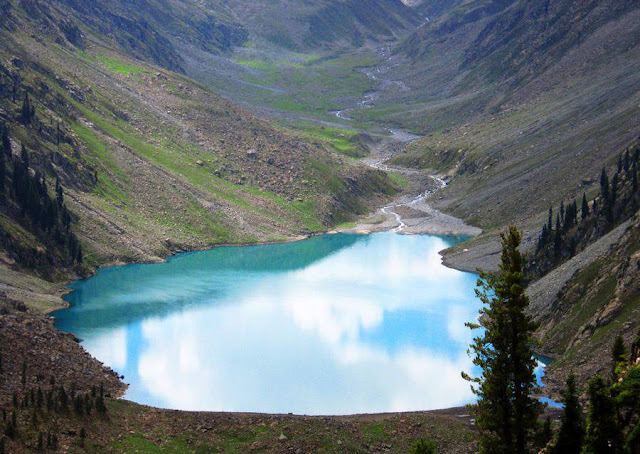 The lake seems an exact duplicate Lake Saifulmaluk in Gilgit. Both the lakes are almost of the same size and appearance. 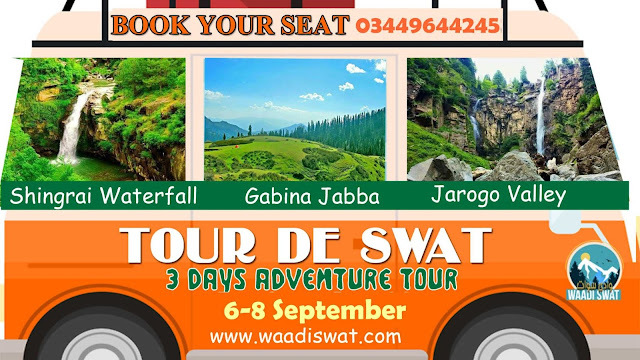 The location and surroundings of both the lakes are almost identical but the one is known but the other is still concealed in the romantic mountains and pastoral locales of Swat valley. The tourism authorities need to wake up to publicize the lake and arrange special tours to familiarize this precious gift of nature for all. The atmosphere transforms dramatically when the night falls. The sky during night is extremely clear and the minutest star can be observed with naked eye. During full moon, the dim and cool light of the bright moon transforms the whole atmosphere like magic. The panoramic galaxies of stars twinkle and sparkle in crystal clear skies. The slowly gliding reflection of the moon in the lake, the tall silhouettes of towering cedar trees and the mysterious silence reiterates the concept that the place is the abode of fairies where human beings are aliens. The mesmerizing surrounding reminds one of haunted places in Greek mythology where giants, imps, spirits and fairies dwell and rule. The landscapes during the early dawn are so compelling and thought provoking that a person of aesthetic sense will certainly make the moments eternal through his gifted faculties. The radiant rays of the nascent sun, the cool waves of morning breeze, the distant calls of mysterious birds, the shimmering blue water of the lake and the tranquil atmosphere are the countless gifts of nature presented to a keen and sensitive observer. Indeed Kundal lake is a place on earth where one can relax and cast away the worries of daily hectic and busy life. It is a heaven for nature lovers where nature is pure and unspoiled, the skies clean and clear and the water fresh and sparkling.